This is a fun food blog! The blog entry on her page the day that I first visited was about a recipe for a Galette. I’d never heard of a Galette. So I wanted to make one. It is kind of like a pizza. I used puff pastry (which I’d only used once before), herbed goat cheese (which I’d never bought before) and zucchini, tomatoes and vidalia onions. Oh and parmesan and olive oil. It was delicious. Here’s my attempt at a food shot. 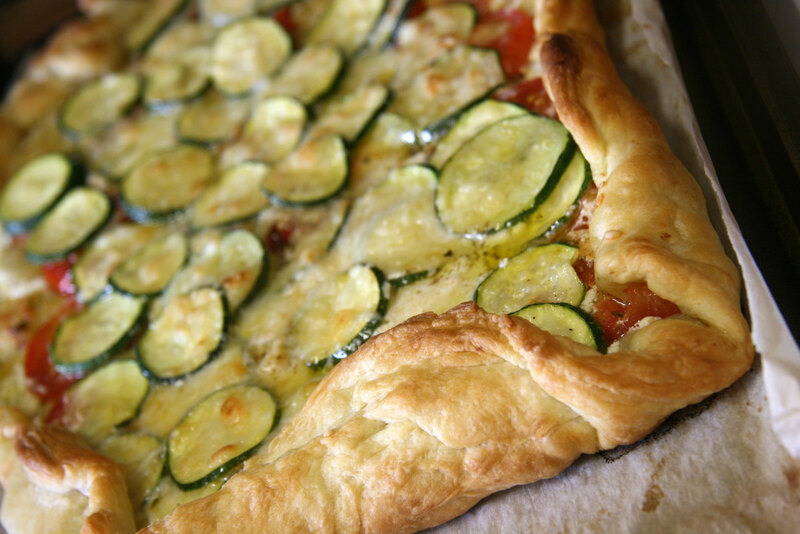 Here’s the recipe and a better food shot: Tomato, Zucchini and Vidalia Onion Galette. It’s also a great way to use the abundance of zucchini that people seem to have in the summer! 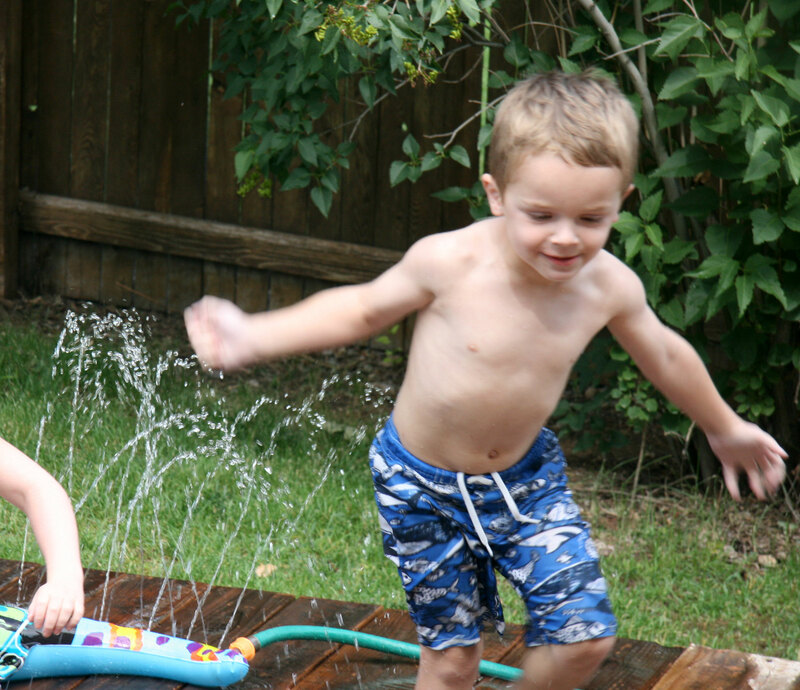 Davey has wanted to have a splash party for his friends from across the street. He’s been talking about it for weeks. 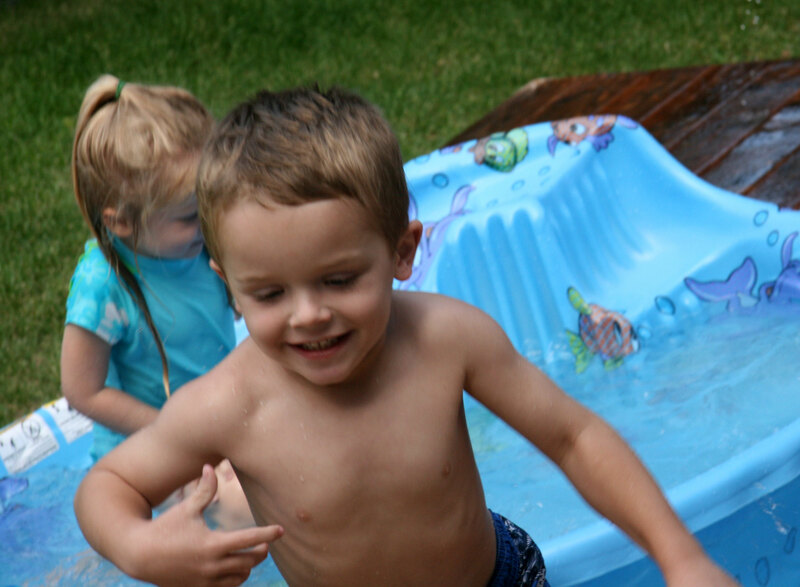 He’d added cupcakes as a requirement because his class had made cupcakes as part of a splash day at prek camp. Before our “party”, Davey and I went to the store. He asked that I buy baby carrots and that I cook them for the adults at the party (The adults were David, me and the girls’ mom). I decided we’d stick with the cupcakes. We made some mighty cupcakes with major sprinklage. The girls came over and they had a big time! This entry was posted in Cooking, Family and tagged ezra pound cake, galette by cpeezers. Bookmark the permalink. I love Ezra Pound Cake’s blog. I learned about it on Pinterest. Wow, your galette looks delicious! So glad you liked it. But I think I need to steal that Splash Party idea from you. We’ve been inside all summer!